“Gene Westmoreland—with his pleasantly crisp writing style—does a swell job in educating and entertaining the reader on the basics and nuances of the Rules of Golf. Kudos. 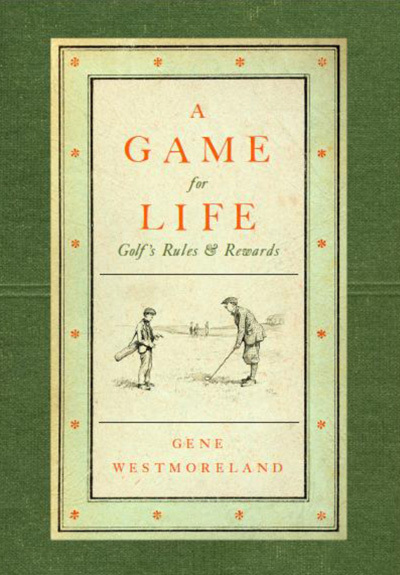 In A Game for Life: Golf’s Rules & Rewards, Gene Westmoreland imparts his wisdom and experience on how golf’s treasures lie well beyond the score. 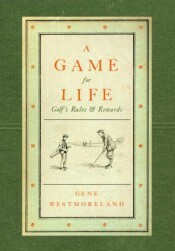 In this collection of essays, Westmoreland enlivens the often-complex rules of golf through engaging, memorable and often humorous stories and anecdotes of real situations encountered by amateurs and professional golfers, many of which drawn from the authors’ lifetime experiences in golf. The book also provides insights to the unwritten rules of golf including etiquette, sportsmanship and, most important why being a good golfer has little to do with the final number on a scorecard.